Speaking to reporters upon arrival in the western city of Khorramabad, the top general said he has travelled to the city after a meeting with Leader of the Islamic Revolution who called on all Armed Forces to rush to the flood-hit areas for offering services. “Lorestan province is the main focus of our operation. Some damages were due to shortcomings which should be compensated,” he said. The top commander called on the flood-hit people to remain patient and said the IRGC will adopt appropriate measures to cope with the devastation and keep the casualties at a minimum level. He also expressed hope that the situation gets back to normal in some areas like Pol-e Dokhtar which have been hit severely by the floods. Aid operations are underway in Pol-e Dokhtar, where thousands of people were stranded by the latest round of floods. 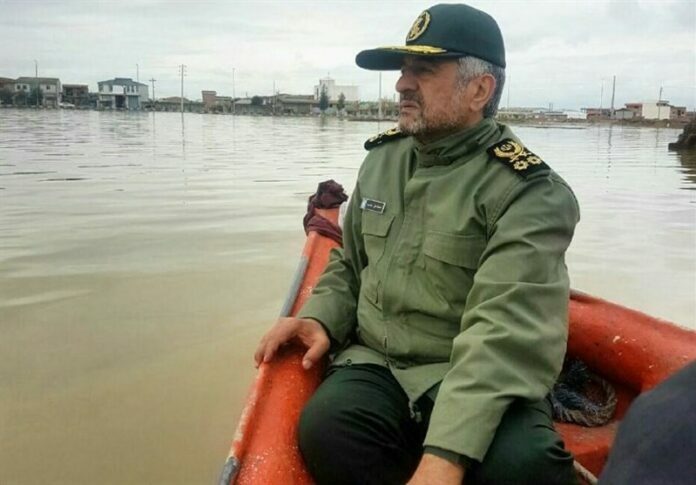 Army choppers and boats as well as the IRGC’s drones and helicopters were deployed in the flood-hit areas for help.